Createspace Independent Publishing Platform, 9781718961579, 322pp. There was nothing that could have prepared me for Dragon's Ground. And I thought that nothing could be worse than what I faced there. Just my black cat bad luck, the world is set to prove me wrong. South lies the Jinn's Dominion and within it the members of my Pride who need my help. The further south we go, the more danger comes not only from outside our group but from within. Ishtar's new hunters. Marcum, leader of the Jinn. And the Emperor himself. All three want something from me. All three claim they can give me the world on a silver platter, to give me my deepest desires. Color me cautious, but I think all three are lying. 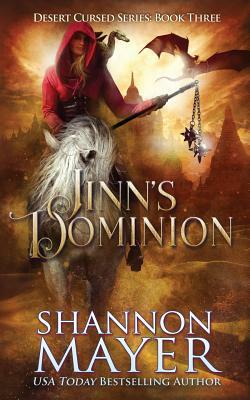 Or so it seems until I reach the Jinn's Dominion and discover the truth... About who I really am. And what that means for my fate and the fate of those I love.